Planning to reduce SAP maintenance cost? As normal hosted SAP server accompanies high features, high-end hardware, leased lines, firewalls, network admin and many more, which are very expensive! 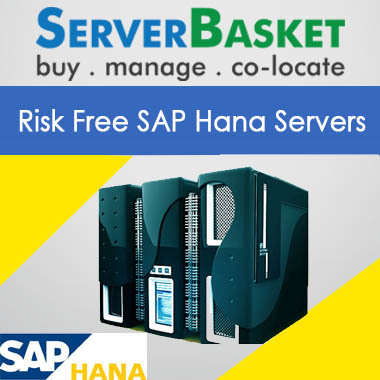 If migrate your SAP to our cloud servers, no need of above mentioned any resources. 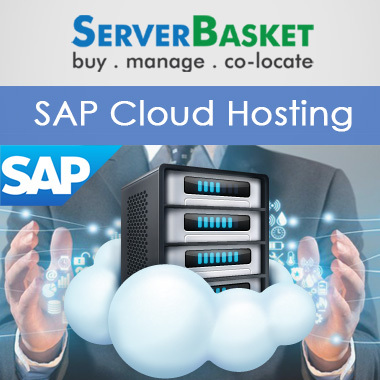 Here we are providing SAP cloud hosting to the clients at cheap prices by hosting them in the SAP-certified data center. 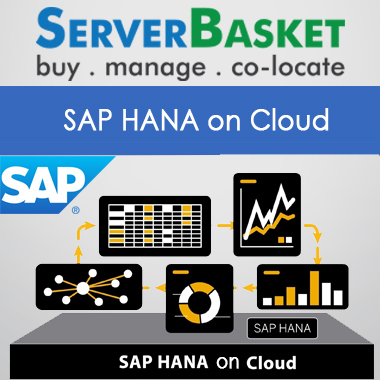 Our sap cloud hosting servers supports any applications like ECC, SCM, portals, ERP Etc. and having database management for Oracle, Sybase, MS-SQL and HANA DB. Not required any infrastructure our SAP cloud hosting having Infrastructure optimized for enterprise SAP applications. 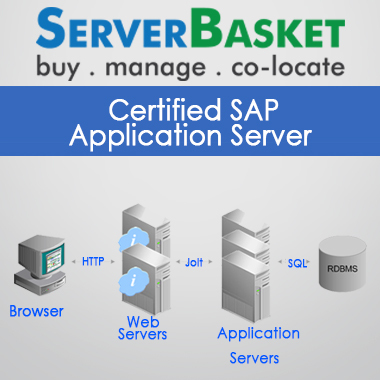 We, ServerBasket has introduced cheap SAP cloud hosting and are bringing updated latest solutions to market so that customers can simplify their business environment without any disturbances to the existing process and switch to real-time cloud ready SAP platform for supporting mission-critical applications of ERP, CRM, SCM, PLM, ECC, portals. 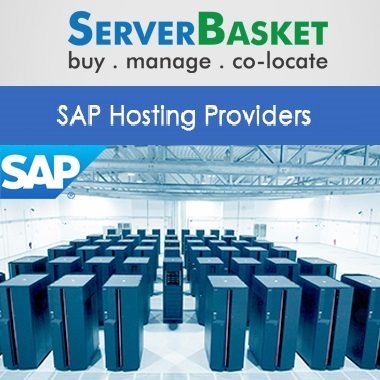 Without the use of any kind of hardware infrastructure, we built everything related to SAP hosting such as firewalls, leased lines, server management, and monitoring, storage options etc., in a virtual environment in less time at predictable lower prices. 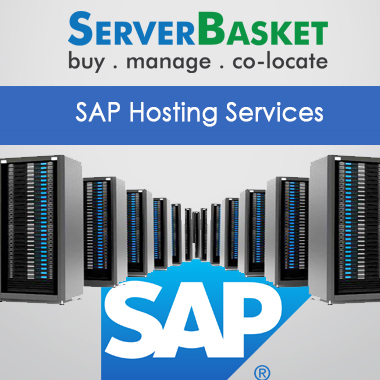 We offer sap hosting solutions with zero investment. No need of initial investment in hardware equipment, data center maintenance, and specialized support! You can minimize the fixed costs incurred for operation, capital of your SAP landscape and pay only for the services you use. In addition, avoid investment costs for hardware, software, and security. 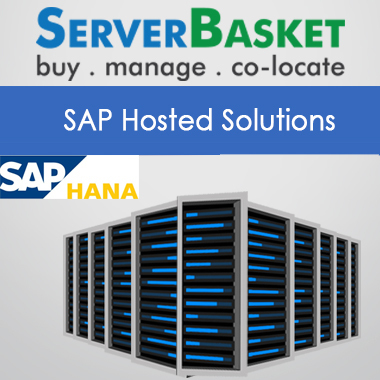 We as one of the largest and most experienced SAP hosting providers, offer the flexibility to the customers to upgrade and downgrade your package at any time as per your requirement. For this option, you can directly contact our support team available 24/7 via email or telephone. Keeping all the high-end configurations of cloud-based SAP applications in mind; we ensure the highest possible security and privacy. Our SAP cloud is designed with up to date security technologies, compliance audits and industry best practices for protecting mission-critical data of our clients. We focus on offering highly scalable and low-cost SAP cloud infrastructure platform to the customers feeing up the IT team from routine server management. We provide SAP cloud hosting services at lower costs by simplifying all the expensive and complex IT architectures. We back SAP cloud hosting with industry-leading SLA that guarantees up to 100% uptime guarantee with high availability, low application latency and faster response time so that the hosted SAP cloud server can operate at peak performance and you can focus on your core business.